When I order food from Domino’s Pizza, I always get their version of the cheesesticks which is their stuffed cheesy bread. 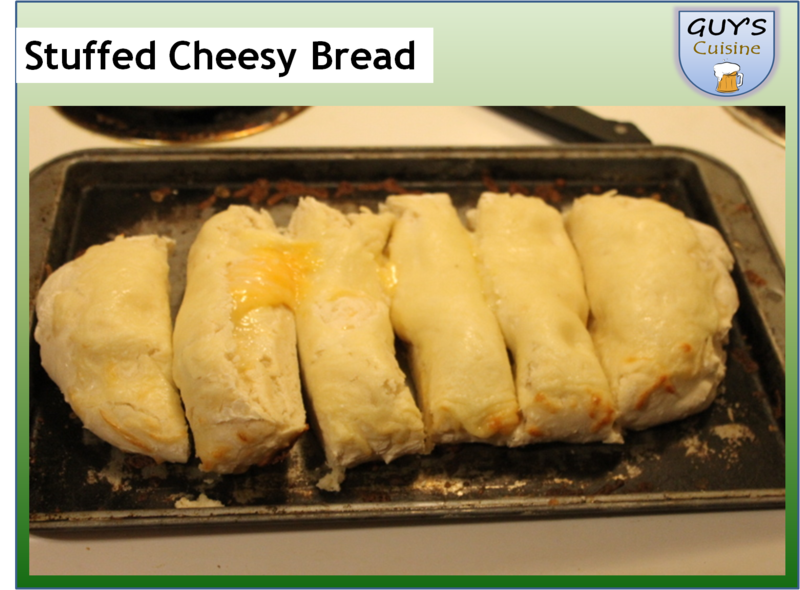 With each bite, you get a heaping amount of cheese to enjoy! Now, I wanted to make my own version of this popular item. Here’s what you need. 4. 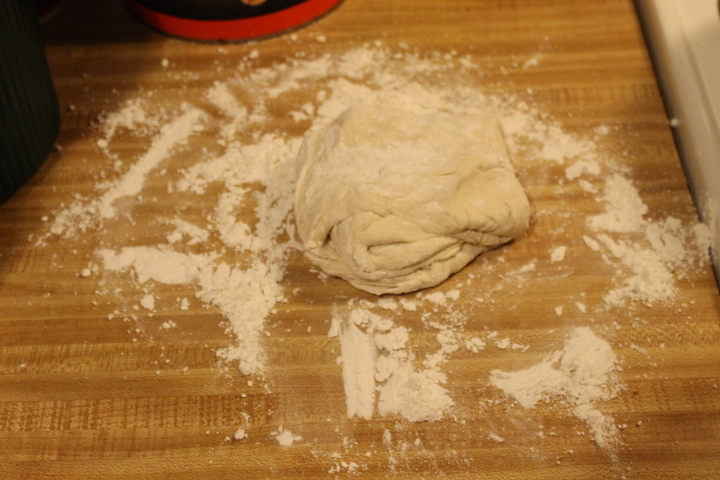 Preheat oven to 425 degrees and spread out dough to circle shape. 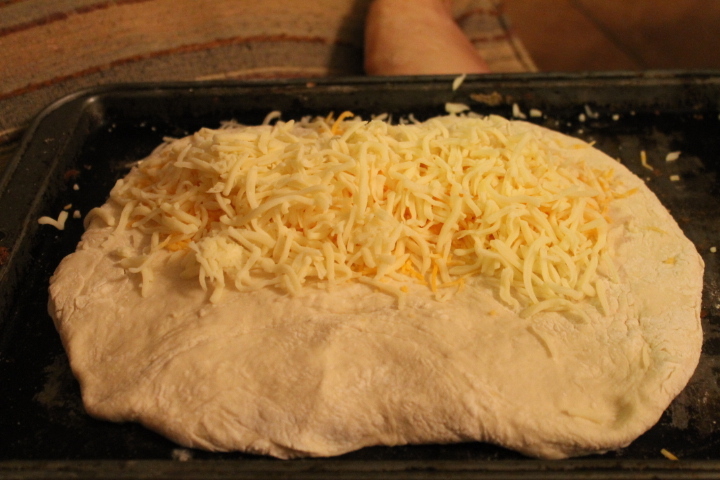 Then place cheddar and 1/2 cup mozzarella cheese inside circle. Do not put any cheese on the edges! 5. Fold the circle shape into a half-circle. 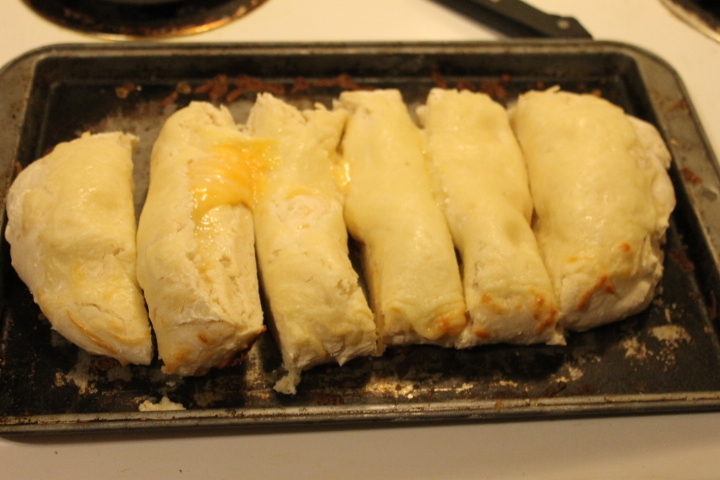 Seal the edges and brush melted butter on top. 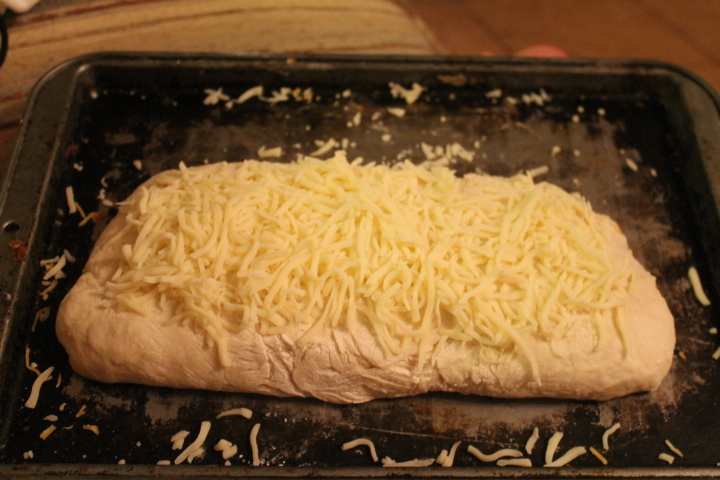 Then place 1/2 mozzarella cheese on top. 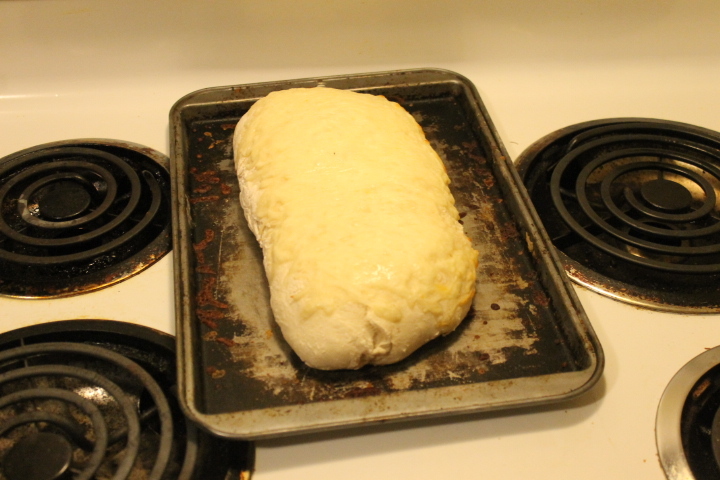 Bake for 10 minutes or until golden brown. After baking, take out of oven and let cool, cut into sticks, then enjoy! I would get some marinara sauce to dip your cheesesticks! Oh my! My husband would love this! Your husband would love this, it was good! Great! You will like it!